Air Belgium confirms that it is to temporarily pause its flights from Charleroi Airport to Hong Kong during the coming winter period. The interruption will be effective from October 1, 2018 until March 30, 2019. The reason for the pause is the fact that Air Belgium faced the non-respect of contractual terms by its major commercial partner regarding tariffs and load factor. Under these conditions, Air Belgium is unwilling to carry out the winter program as initially planned and to endanger its financial position. In good faith we’ve tried to find a solution for our partner’s defaulting situation to date. The negotiations went on for several weeks. Because the new season was about to start, and due to the lost confidence in the partner, Air Belgium however did not want to risk having to operate from an even more complex situation. During the pause Air Belgium will continue operating for other legacy airlines and focus on launching its air service to Mainland China, such as Zhengzhou. We are maintaining our development plans. The pause will have no consequences on Air Belgium’s employment level. On the contrary, we continue our hiring efforts to meet the market demands and to realize our plans. We also would like to make clear that our decision to operate scheduled air services from Brussels Charleroi airport is not questioned and will be maintained. Customers satisfaction and the convenience has been validated by massive positive feedback and our strategy to operate from Charleroi is to remain. Needless to say that passengers holding reservations during the suspension period will be contacted individually and handled personally. 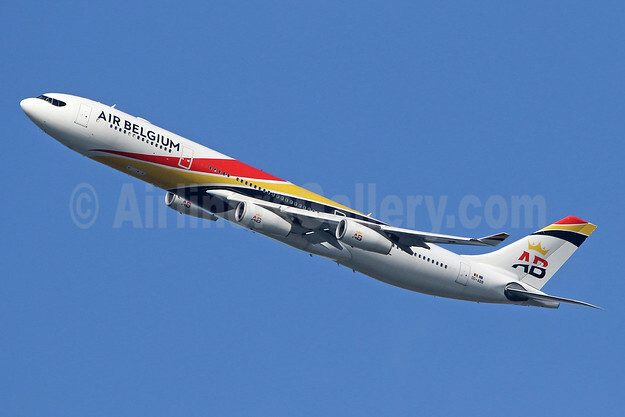 Top Copyright Photo: Air Belgium (2nd) Airbus A340-313 OO-ABB (msn 844) LHR (SPA). Image: 943610. This entry was posted in Air Belgium (2nd) and tagged Air Belgium (2nd), Airbus A340-313, msn 844, OO-ABB on September 22, 2018 by Bruce Drum.